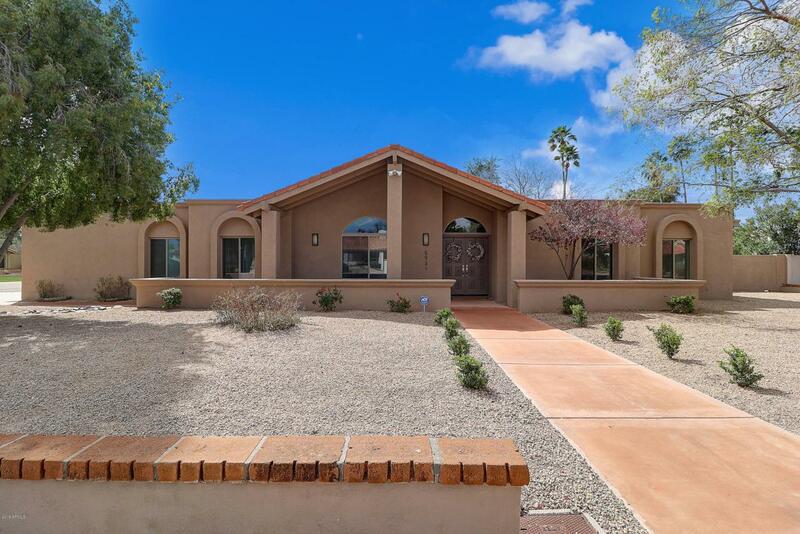 This beautiful move-in ready home was completely remodeled top to bottom in 2016, including new a/c's, digital thermostats, new windows, roof, paint inside & out and newly remodeled pool. 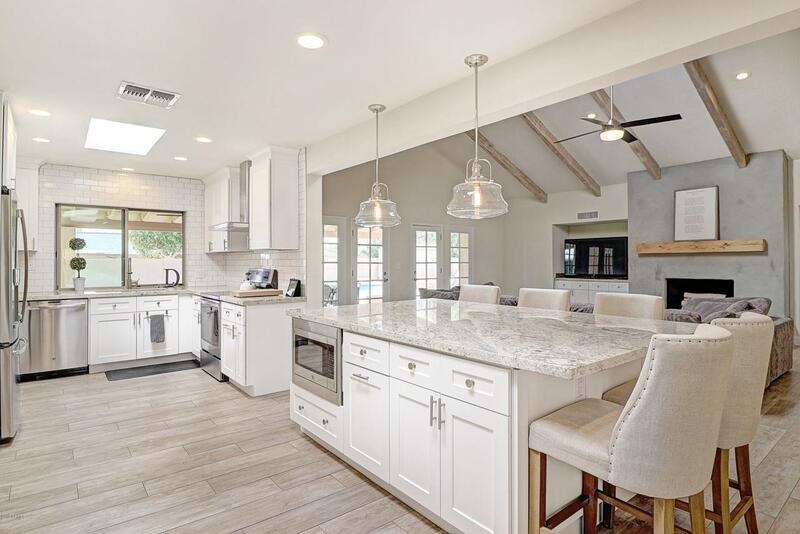 Spacious family room with beautiful beamed cathedral ceilings, fireplace, wet bar, wine fridge and entertainment area, all open to the well-appointed designer kitchen, which includes a large island/work station, great storage, pantry and modern decorator touches. 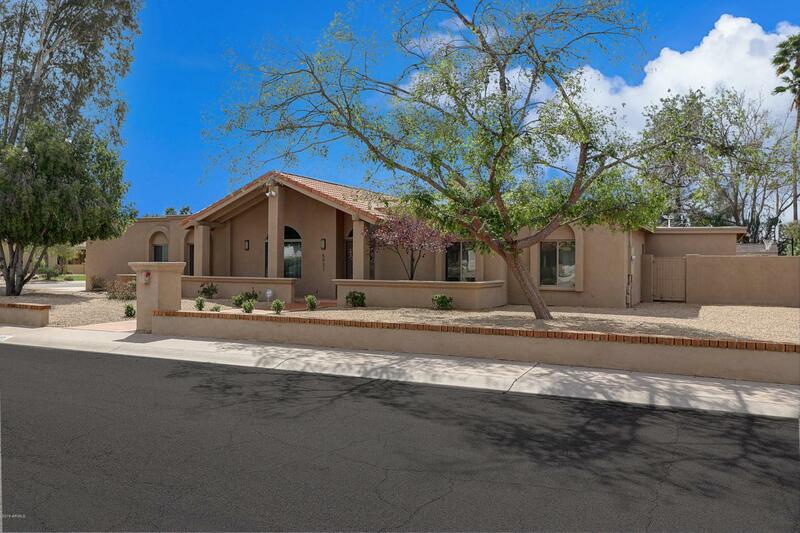 4 bedrooms 3 separate bathrooms, huge master walk-in closet, media room, formal dining and so much more. 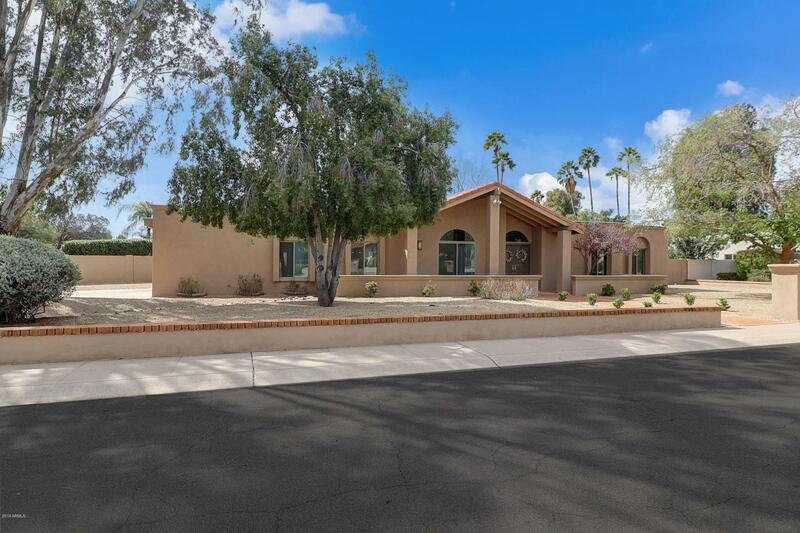 This immaculate home sits on over a 1/3 acre and includes a sport court, covered paver-patio overlooking the sparkling remodeled pool & huge private yard. 2 car garage with epoxy flooring and 2 backyard storage areas. Block constructed home.